Tere shooter log ka khas meri gully mein. What is up beautiful people.Today we are going to post Mere gully mein lyrics, a song by one and only Divine. This is one more song from Divine, shooted in slums with Naezy which touches the ground reality of slums in lyrics as well as video. lyrics of mere gully mein explains life in slums.The gangs of Gully and the stories of it are very beautifully presented in this song lyrics.Divine is always been known for writing real lyrics and he did same with mere gully mein song lyrics. 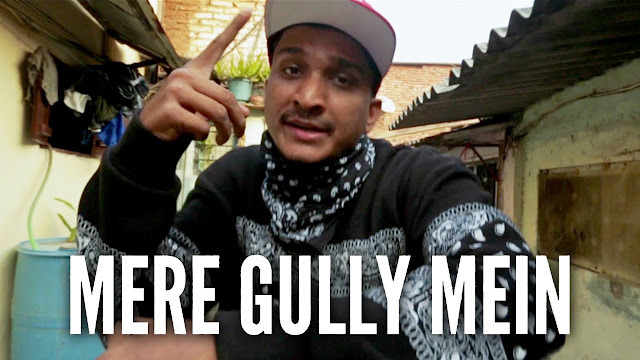 So without any ado, let’s dive into the beauty of mere gully mein rap lyrics. Kya bolthe hai Naezy the baa? This was Mere gully mein lyrics.We tried to post mere gully mein full lyrics but if you find any think missing or anything incorrect in these lyrics, do let us know in the comment section below. Share these lyrics with your gully gang ,your rapper friend and on Facebook.